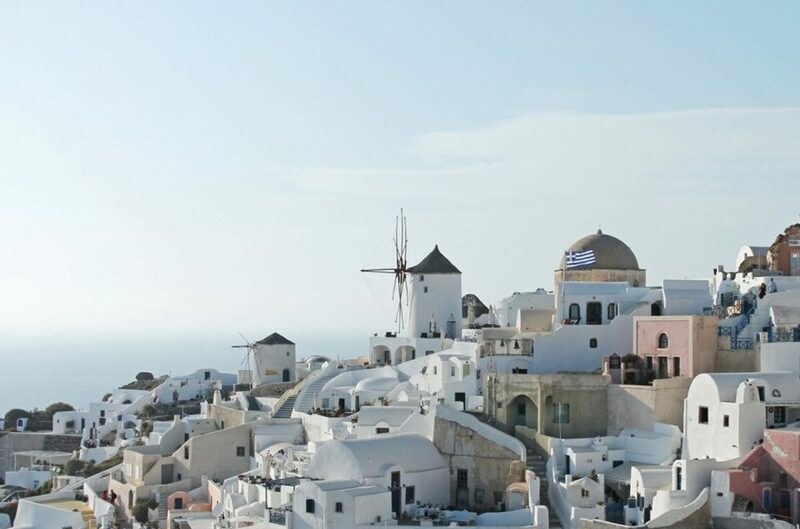 Secrets of Greece: Ionian & Aegean Island Holidays | To Work Or PlayTo Work Or Play | A blog of two halves: Lifestyle guidance for city-savvy socialites, and insight, inspiration and opinion for ad-curious folk. There are secrets, and then there are secrets. Generally these fall into three categories – the secrets that you are happy to share with anyone because, frankly, they really shouldn’t be secrets at all. The secrets that you are willing to share with a select few; people you trust, discerning people who you know won’t go blabbing too widely. And lastly there are some secrets that are too precious to share with anyone. So, first I’m going to share a secret that shouldn’t be one at all. Kefalonia, Kefallinia, Cephalonia, so good they named it more than twice! The largest Greek island in the Ionian Sea, and it’s an absolute gem. 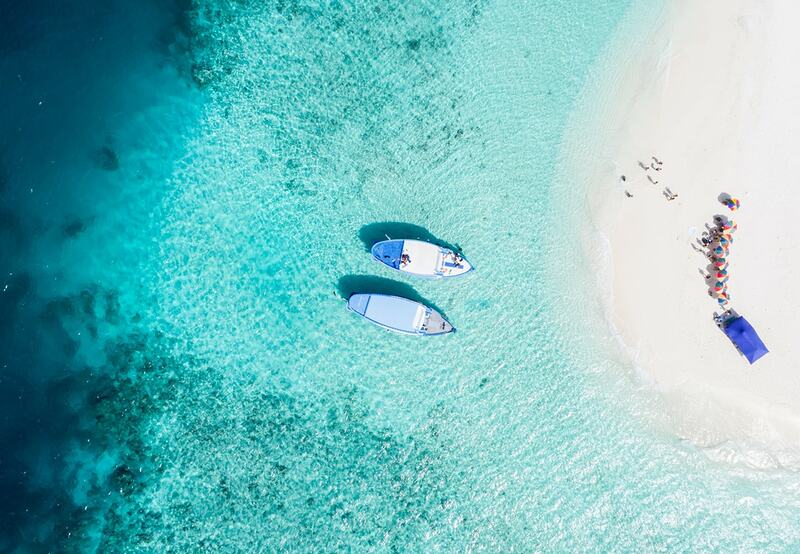 An island with a bit of a North:South divide, sandy beaches and a bit more lively down south, pebbly beaches and more authentic up north. And, as a good northern lass you won’t be surprised that up north gets my vote every time. So what’s so special about it? Crystal clear azure seas ideal for lazing by or snorkelling in. Lovely weather from April right through to October/November. The smell of wild thyme that permeates the air. Wild flowers which cover the hillsides in April and May. 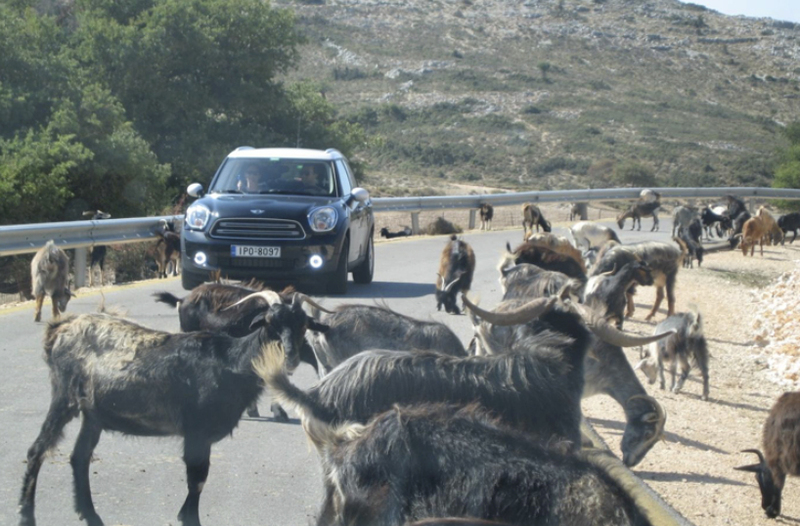 The mountain goats who think roads are for sunbathing on (and don’t believe they have to get out of the way of cars!). Fantastic tavernas here there and everywhere which cater to carnivores (suckling pig, wild boar, slow cooked lamb, all meltingly tender), pescetarians (fresh tuna, squid, sardines, whitebait), and vegetarians (aubergines in 100 different ways, courgette fritters, salads, Greek or otherwise, spinach and feta pies) etc, etc. Are you drooling yet? Kefalonia was hit by an earthquake in 1953, which devastated much of the island. The only parts which survived were in the north. 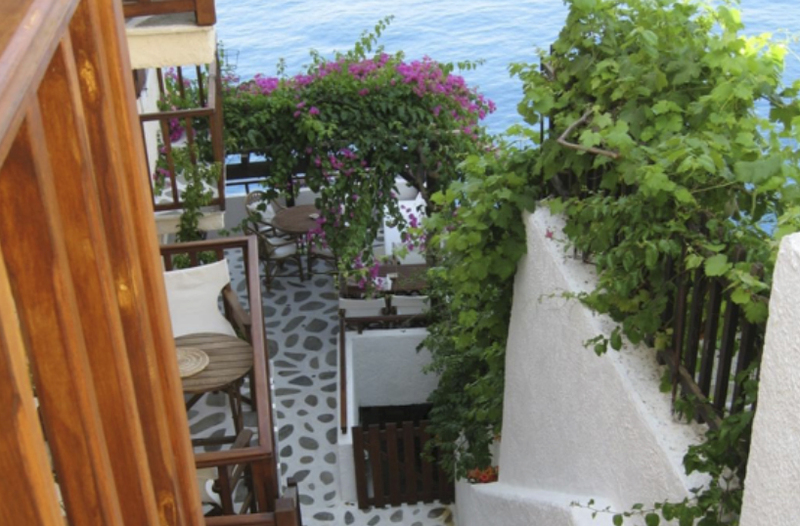 This is where you find the authentic and atmospheric coastal villages of Assos and Fiskardo. Beautifully restored houses sit side by side with Venetian style ruins which have not been restored because ownership has been scattered through generations and across continents. This lends a romantic air to both villages. 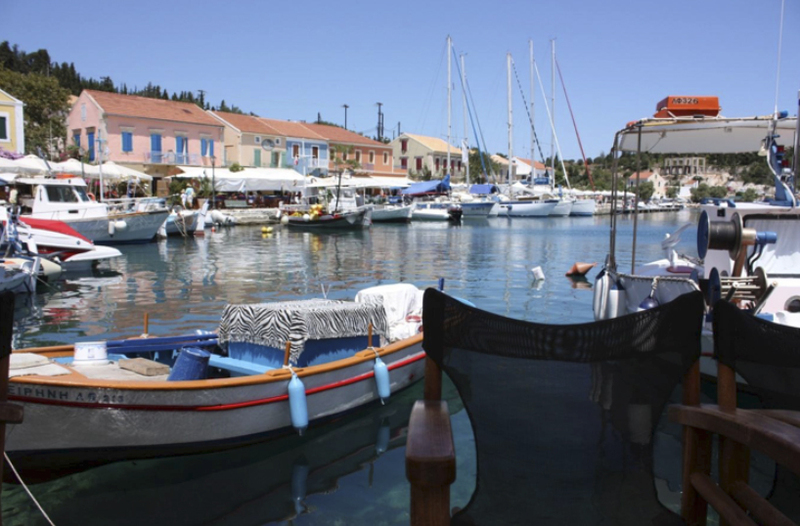 Fiskardo is also an up-market picturesque little port with regular ferries from other islands as well as a couple of sailing companies which charter boats. 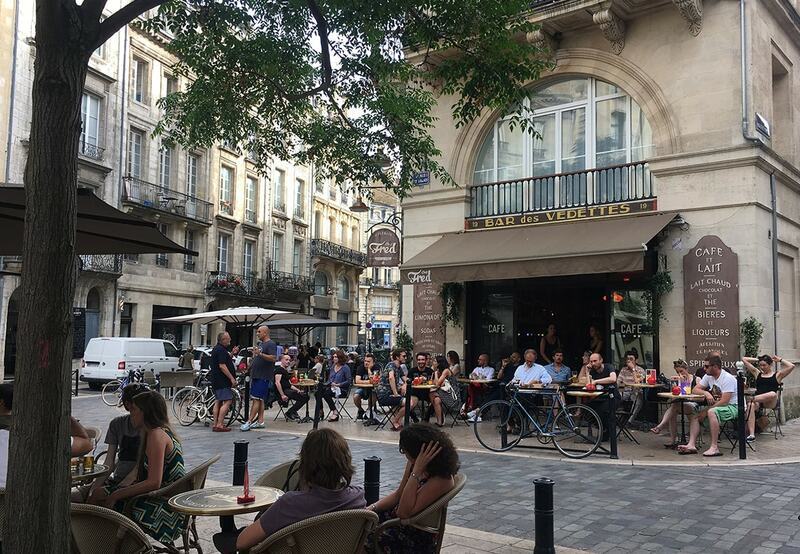 It has many, many restaurants and it is very easy to spend a couple of hours with an iced coffee or lunch watching novice sailors attempting to dock their hired yachts, with experienced crew on the harbour side yelling instructions to them (often to no avail). The roads are easily driveable with lots of tiny villages to explore. 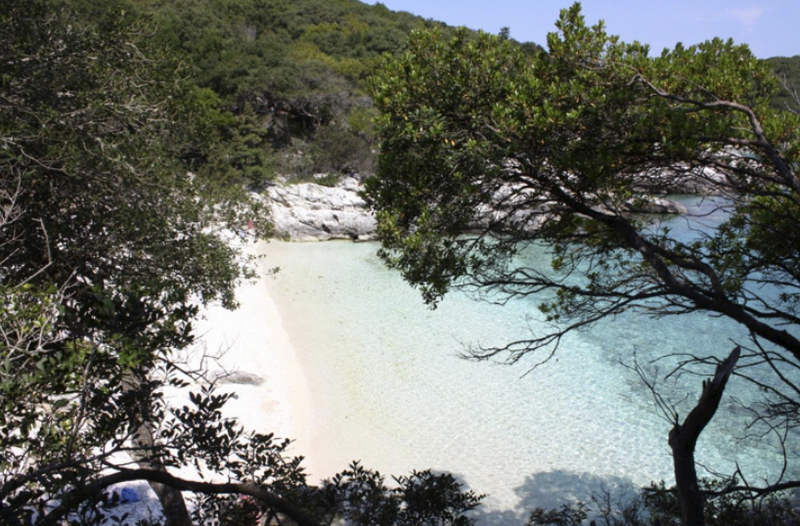 There are beautiful little beaches at Emblisi (our favourite), or Antisamos which was the setting for much of the film of Captain Corelli’s Mandolin. 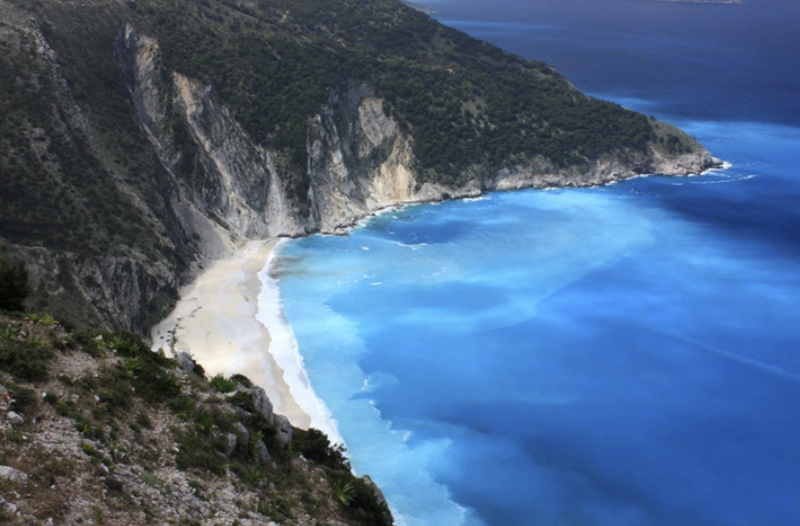 Just down the road is the world famous beach of Myrtos, regularly voted in the Top 10 of Mediterranean beaches. 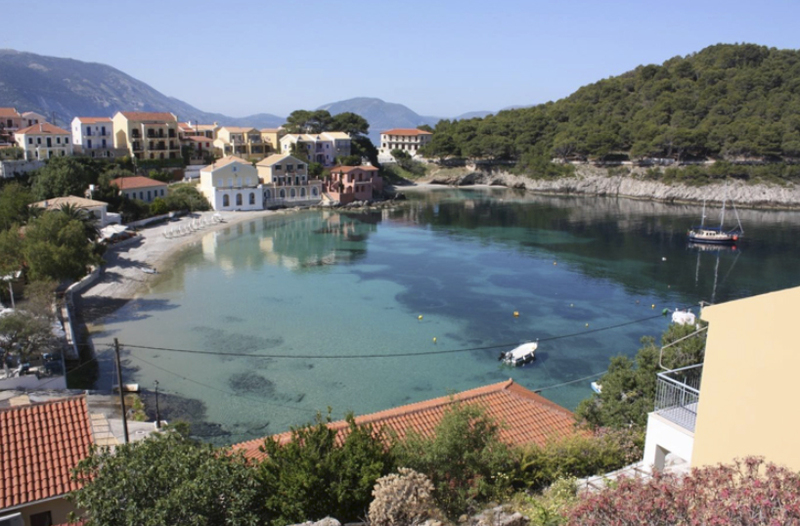 Further afield, say within 60 – 90 minutes drive of Assos, are Drogarati Caves, Melisani Lake and the capital Argostoli. All worth exploring. Or, alternatively, do none of the above and just chill out where you are. And if you are worried about taking a holiday in Greece whilst they are in the midst of apparent economic meltdown, don’t be. It’s massively exaggerated, as I recorded in my post about Crete (read here), and as we’ve just found out again this month in Kefalonia, there are absolutely no problems for tourists. In fact, if anything the welcome is even greater than usual. Now, I’m going to share a secret with you, you select few, because as a TWOP reader I trust you and I’m confident you’ll know a good thing when you see it. 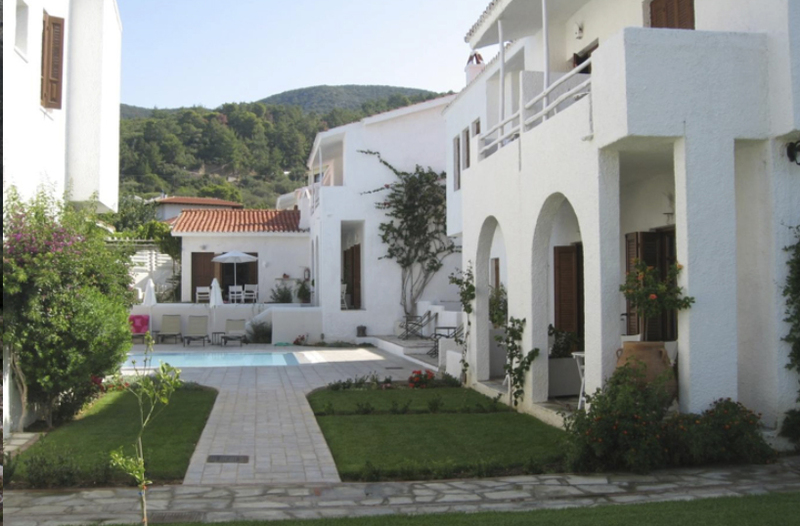 This secret is called….Ionian and Aegean Island Holidays. This award winning company delivers specialist holidays to the beautiful islands of Greece; in the Ionian to Kefalonia, Ithaca, Corfu, Lefkada, Meganisi and Paxos, and in the Aegean to Skiathos, Skopelos and Alonissos, as well as the mainland locations of Parga and the Pelion. They have an unrivalled and passionate knowledge of each location with experienced local reps on site to advise you. We had our first holiday with them in 2003. Since then we’ve racked up another 22 holidays using the company, many back to Kefalonia, but also to Ithaca, Corfu, Lefkada, Meganisi, Skopelos and the Pelion. Why so many? Because they know what they are doing, that’s why! They specialise in small, authentic, very good 3* type hotels or apartments, in wonderful locations and have a wide selection of villas. 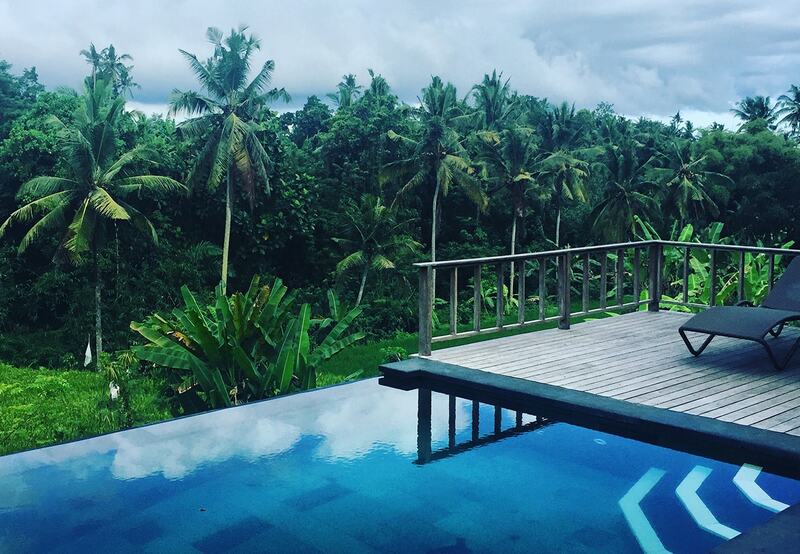 They also have a few exclusive hotels for very special occasions. And they are very good at understanding your needs. For example their recommendation in 2007 for us to go to Skopelos. 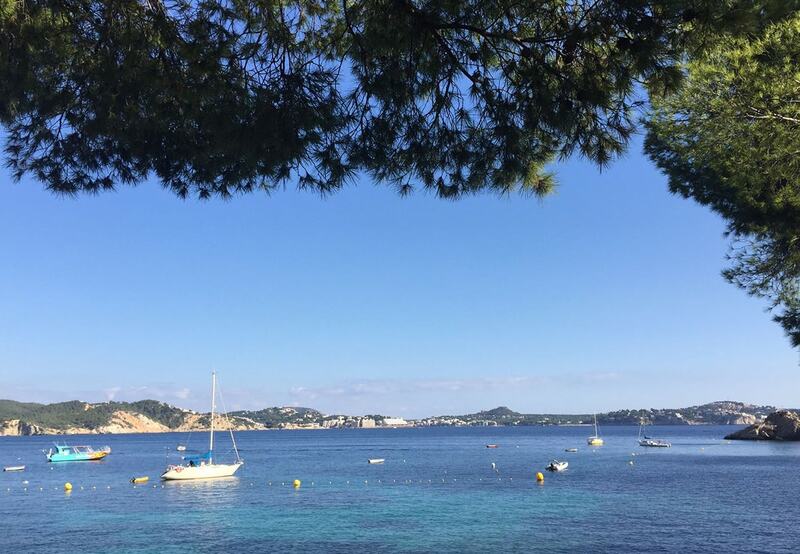 We arrived, woke up the next day in a beautiful boutique hotel next to the sea to find that we were sharing it with…… drum roll please….. Julie Walters, Meryl Streep, Pierce Brosnan (and family), and……..Colin Firth (be still, my beating heart!) who were making Mamma Mia!. We returned last year and were treated to a surprise upgrade to the suite occupied in 2007 by Pierce Brosnan and family. Wow, did that did make us feel special. So, this special secret that I’m sharing with you is to have a look at their website ionianislandholidays.com, or, even better, order one of their brochures via their website. You can thank me later. I said that there were three types of secret. And the final one is the secret secret. The one too precious to share with anyone. However, because I like you all I’ll share a little bit of it. When we stay in Kefalonia we stay in the village of Assos. Assos has one road in, and the same road out, it drops about 2000 feet from the main road on the mountain down to the village at sea level, and it has 15 hairpin bends (yes, I counted them last week) to navigate on the way! It is an essential visit for the day trippers coming up north for the day, but once they have gone home peace descends again and it becomes a tranquil oasis of calm and serenity. It’s a tiny cluster of pastel coloured houses, based around a little harbour with a beach and is overlooked by a towering fort and it is beyond special. So special, that since our first trip in 2003 we’ve been 13 times (sometimes more than once in a season). Since taking early retirement (Auntie) Shirley spends most of her time planning and booking foodie based holidays. 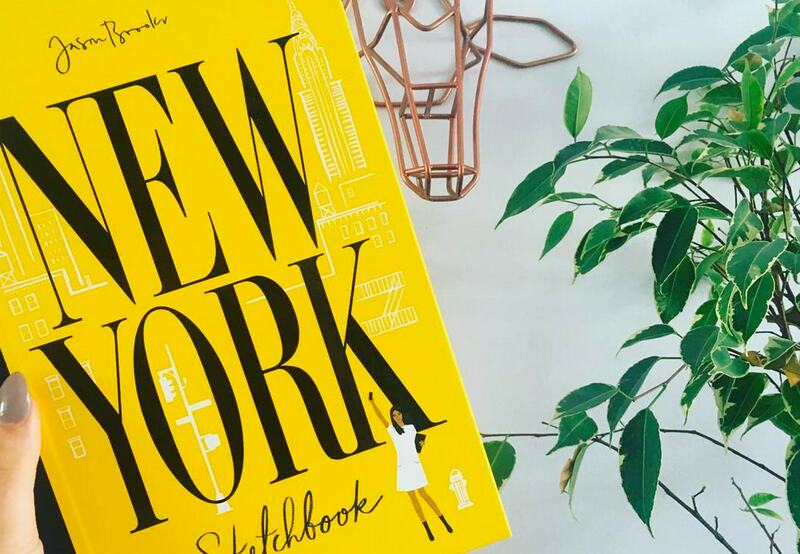 When she’s in the country you will find her rustling up delicious concoctions in the kitchen, getting green fingers in the garden or competing in rowing competitions on the Wear.